With one of the most sophisticated Open MRI’s in Las Vegas area, Mirror Imaging Las Vegas is able to provide all of the diagnostic qualities of a high-field MRI study with the patient benefits of an Open MRI experience. 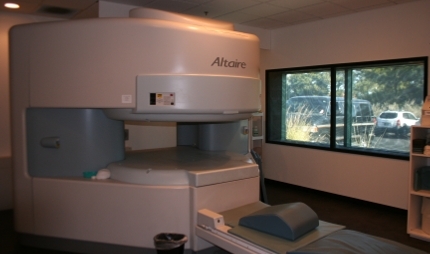 The Altaire High-Field offers more than double the magnet field strength of most Open MRI scanners are the largest in the state of Nevada. Utilizing the most current hardware and software, with specially designed coils for each body part, we are able to acquire images whose quality is comparable to many high-field, traditional MRI scanners. While a patient’s girth may still be a limiting factor, our Open MRI’s body-weight capacity allows us to scan most larger patients. The open architecture of our scanner also aids patients who experience mild claustrophobia, without the usual sacrifice in diagnostic accuracy of most open scanners in the marketplace. Additionally, parents of young children can stay in the room during their child’s exam, and be close to their little ones. Referring physicians who have seen the images from this scanner have been impressed by the excellent diagnostic quality that our Open MRI produces. Patients have been pleased with the open design of our scanner, and the knowledge that their body habitus or claustrophobia will not be a significant impediment to obtaining an accurate diagnosis. 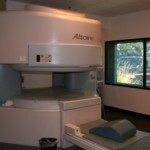 During an Open MRI, you will be positioned on a cushioned table that will slide into the MRI machine. A Technologist will monitor the exam at all times and a speaker system keeps you connected to the Technologist. Depending on the type of exam ordered a special coil may be used to image certain areas of the body, or a contrast agent may be injected through an IV. This is known as MRA and is a procedure used to clearly see blood vessels. Once the MRI study is complete, one of Mirror Imaging Las Vegas’ Radiologists will interpret the exam and report the findings to your physician. Your physician will contact you to discuss the results of your exam.